A global health partnership to discover and develop new malaria compounds that target the liver and blood stage infections and to counter the first signs of resistance to ACTs. The Novartis Institute for Tropical Diseases (NITD) is collaborating with the Genomics Institute of the Novartis Research Foundation, Swiss Tropical and Public Health Institute, and Scripps Research Institute to discover and develop new antimalarial compounds that target both Plasmodium falciparum and Plasmodium vivax. The NITD and its partners are developing a potential one-dose cure for Plasmodium falciparum, and a curative modality for Plasmodium vivax. 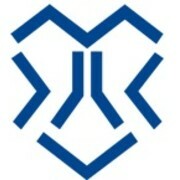 Two compounds resulting from these drug discovery efforts are currently in Phase II clinical trials, KAE609 and KAF156. In November 2013, Novartis and collaborators announced the discovery of yet another new malaria drug target and a new compound class with potential to prevent, block and treat malaria. Called imidazopyrazines, this is the third new class of malaria compounds discovered by Novartis scientists within the last five years. We aim to improve global health. Through our business, we make an important contribution to society: We discover and develop innovative healthcare products, targeting unmet medical needs. Novartis is the only healthcare company with leading positions in pharmaceuticals, eye care, generic medicines, vaccines, as well as consumer products. Novartis collaborates with others to help address some of the world’s greatest health challenges. To help do that, Novartis’ corporate responsibility programs help more people secure the healthcare they need, regardless of where they live. Novartis has done this for a long time, largely through philanthropic and not-for-profit programs. Novartis has concentrated its efforts in controlling malaria, leprosy, tuberculosis, noncommunicable diseases and pioneering new business approaches to reach underserved patients, and finding new treatments and adaptive solutions to improve health for people around the world. In 2013, these efforts reached more than 100 million patients. Novartis is committed to being a leader in corporate responsibility, and were one of the first signatories to the United Nations Global Compact, the world's largest corporate citizenship initiative. The Global Compact calls on business and other stakeholders to support key principles in the areas of human rights, labor, environment and anti-corruption. These standards are embedded throughout our operations, and we strive for continuous improvement by measuring, monitoring and reporting on our progress. They remain true to the vision and values of their founder, Sir Henry Wellcome, a medical entrepreneur, collector and philanthropist. Their work today reflects the amazing breadth of Henry's interests, and his belief that science and research expand knowledge by testing and investigating ideas. Their governance is based on an updated version of his will. Their funding supports over 14,000 people in more than 70 countries. In the next five years, they aim to spend up to £5 billion helping thousands of curious, passionate people all over the world explore ideas in science, population health, medical innovation, the humanities and social sciences and public engagement. Social science, including research into the ethics of medical trials involving pregnant women, of urgent importance because of the Zika virus. The Swiss Tropical and Public Health Institute (Swiss TPH) is a world-leading institution in health research, training and services. It improves, maintains and promotes the health of individuals and societies all around the globe. A special emphasis is on resource-constrained countries. The multidisciplinary activities range from laboratory studies to clinical work, and the practical transfer of conceptual and technical expertise into health system planning and programs. Sharing and mutual learning are the building blocks of the success. Swiss TPH works along a value chain from innovation to validation and application. The institute's activities contribute to the improvement of human health and wellbeing through better understanding disease and health systems. This knowledge is the foundation for health actions. Established in 1943, Swiss Tropical and Public Health Institute provides services for professionals in the field of global health development. Over 500 staff members from 40 nations work for Swiss TPH to facilitate initiatives in global health. Strong focus is on low and middle income countries. The organization’s goal is to improve public health, strengthen health systems and reduce poverty through partnerships and mutual learning. Moreover, as an associate institute of the University of Basel, Swiss TPH takes part in educational programs in medicine, philosophy, natural sciences, and historical philosophy. It is also is engaged in post-graduate education and advanced training locally and internationally. The Singapore Immunology Network (SIgN) was launched by the Agency for Science, Technology and Research (A*STAR) with the aim of expanding and strengthening immunology research in Singapore. In January 2008, 6000m2 of new laboratory and office space was inaugurated as the home of SIgN, in the Immunos building at Biopolis. The mandate of SIgN is to advance human immunology research and participate in international efforts to combat major health problems. Researchers at SIgN investigate immunity during infections and inflammatory conditions, including cancer, using both mouse models and human tissues. Since its launch SIgN has grown rapidly, and currently includes around 200 scientists from 25 different countries of the world, working under 22 renowned Principal Investigators. Scientists' work is supported by cutting edge technological research platforms and core services. MMV, a not-for-profit public-private partnership, was established as a foundation in Switzerland. It was created to discover, develop and deliver new, effective and affordable drugs for malaria in collaboration with public and private partners. MMV was one of the first product development partnerships (PDPs) and is a leader in terms of antimalarial drug research and development. 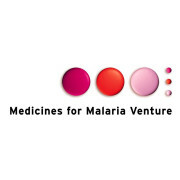 A sister organization, the PATH Malaria Vaccines Initiative (MVI), focuses on malaria vaccine discovery and development. MMV was launched on 3 November 1999, with initial seed finance of US$ 4 million from the Government of Switzerland, UK Department for International Development, the Government of the Netherlands, The World Bank and Rockefeller Foundation. Over the past decade MMV has successfully worked with more than 260 partners in almost 50 countries from the private sector, from the public sector, from NGOs and non profit organizations, as well as from clinical centres in endemic countries. The Biomedical Primate Research Centre (BPRC) is Europe's largest primate research centre. It is a scientific research institute that performs research that contributes to the identification and development of new medicines against deadly diseases. Disease causes misery and large numbers of deaths in human populations worldwide. For many common deadly diseases there is still a desperate need for effective medicines. BPRC is a scientific research institute that exists to perform vital research that contributes to the identification and development of these new medicines. The BPRC is funded by the Dutch Ministry of Education, Culture and Science. Before it became an independent foundation on December 7, 1994, it was part of the Netherlands Organisation for Applied Scientific Research.